Description: A large living space available June 1st, less than one block from Iowa City's Kirkwood Community College campus, and the city bus stop, this is an outstanding location for a person on the go. Sycamore mall, Laudromania, Hy-Vee, Great Clips, UIHC Quick Care, Oral-B and P & G are just a few of the dozens of businesses and employers less than one mile from home. Built on a spacious and established lot with plenty of shade from the numerous sycamore trees, you will enjoy the feeling of privacy while still being in the middle of it all. Contact us to schedule a showing today! Tenant responsible for gas, electric and water. Tenant responsible for lawn and snow removal. Tenant responsible for trash and recycling. No Pets. Description: The efficiency apartments are located on the west side of Iowa City. These are within walking distance to the University of Iowa Hospitals and Clinics, Dental School, Pharmacy School and Law School. Heat and water are included in the rent. Tenant pays electricity. Coin-operated laundry and individual storage lockers are located in the basement. Off-street parking next to the building. No pets. No smoking. Description: The Highland Green Townhouses are located on a quiet cul-de-sac in west Iowa City, approximately 1.5 miles from the University of Iowa Hospitals and Clinics, Dental School, Pharmacy School and Law School. Tenants include graduate students, residents, fellows, small families and professionals. Basements are 2/3 finished - perfect for offices, rec. rooms, or kids play; with storage and laundry in the unfinished section. Total area including basement is 1,350 square feet, of which 1,200 square feet is finished area. Tenant pays utilities. No Pets. No smoking. Washer and dryer are included in each unit. Off-street parking space included, carports available to rent. Description: These one bedroom and studio units at 5 Lincoln Avenue were built in 2015. 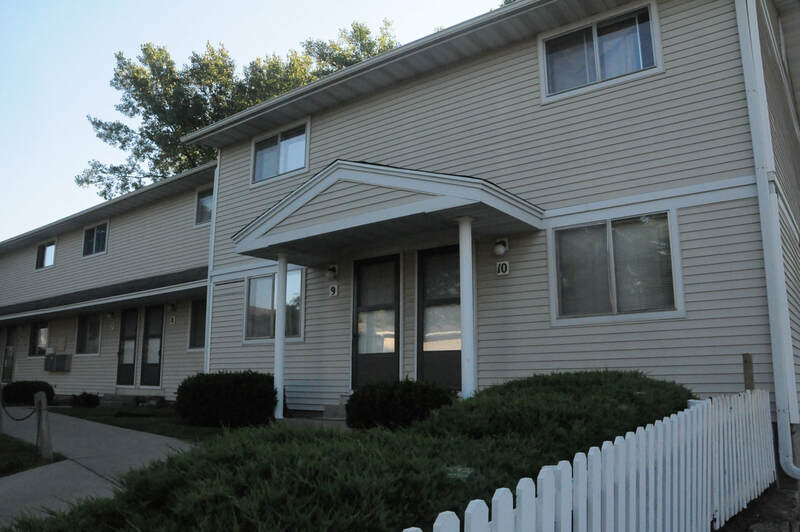 The apartment complex is in a great location less than 1 minute from the University of Iowa Dental and Medical Schools, and is within an easy walk to Kinnick Stadium, Carver Hawkeye Arena, The University of Iowa Hospital, and the University of Iowa Law School. These units include wood flooring in the kitchen, living room, and hallway, and there’s carpeting in the bedroom and bedroom closet. The apartment also boasts central heating and air conditioning, and 9-foot ceilings. 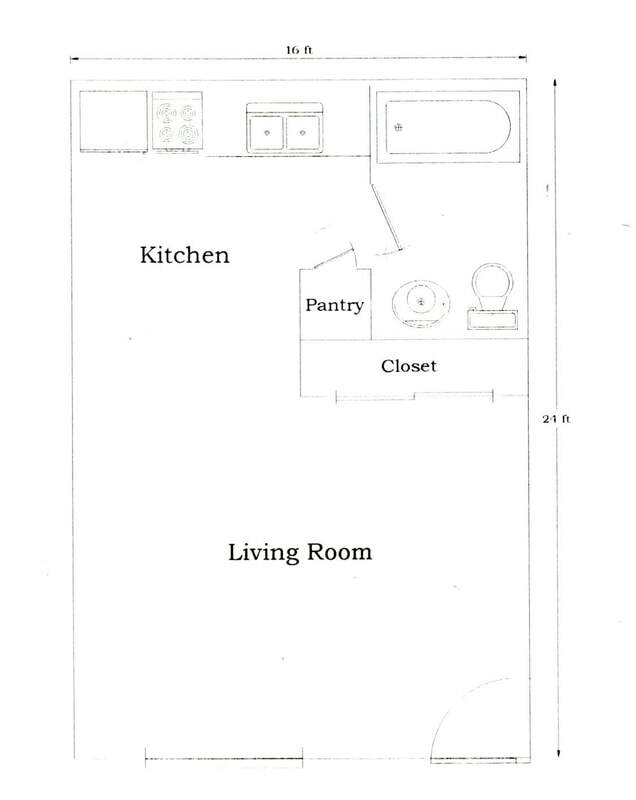 The kitchen includes granite countertops, dishwasher, garbage disposal, electric oven, microwave, and refrigerator. The living room is spacious with plenty of room for couches, chairs, and an entertainment center. 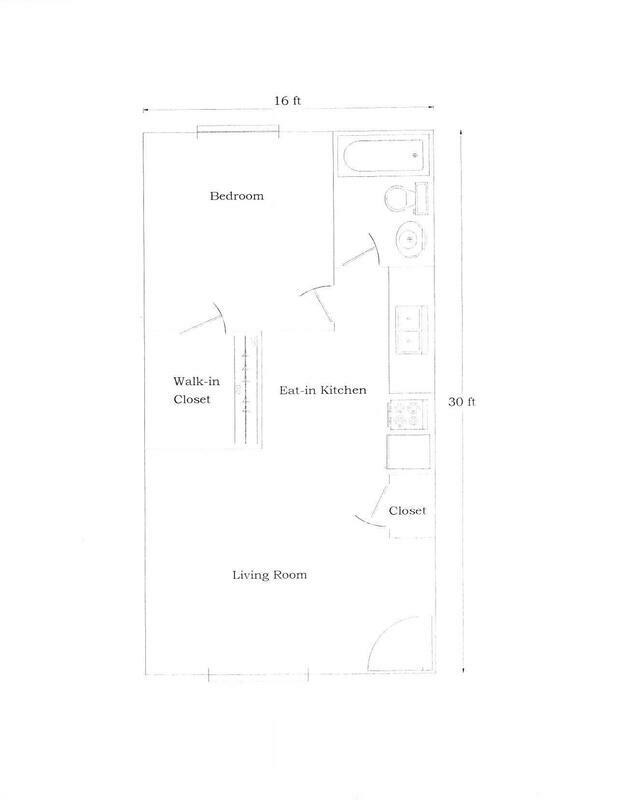 The bathroom includes vinyl flooring, sink vanity, and tub/shower combo. The Top floor units include washer/dryer hookups, and the apartment complex includes an on-site laundry room and lounge. There is a community 2,200 sq. ft. rooftop patio/deck with propane gas grill. There’s also optional heated underground parking available. The unit is located next to a bus stop and is directly across the street from the University of Iowa Dental School area. Description: This is a very nice 2 bedroom unit located near the dental college, Carver and Kinnick. Plenty of storage space throughout and an open floor plan for the kitchen and living room. Living room has a door that leads to a small deck. Comes with all the appliances including washer/dryer. Description: Located in a historic residential neighborhood in Iowa City, just minutes from the best attractions in town. Beautiful tree lined streets. Short walk to downtown Iowa City, the Pentacrest, City Park, Hancher Auditorium, and UIHC. Close to major bike and pedestrian paths. A neighborhood you will be proud to call home. The building was built in 2003 and is highly coveted. Energy Star rated efficiency, secure underground parking, DirecTV CHOICE Package (150 HD Channels) and premium internet is included. Description: Located in a historic residential neighborhood in Iowa City. Just minutes from the best attractions in town. Beautiful tree lined streets. Short walk to downtown Iowa City and Pentacrest, City Park, Hancher Auditorium and UIHC. Close to major bike and pedestrian paths. A neighborhood you will be proud to call home. The renowned building sits high atop the river bluff with panoramic views of the Iowa River and UI campus. The former Alpha Epsilon Pi fraternity (Apehouse) was converted into luxury apartments in 2002 and received multiple historic preservation awards for the remodel. Each apartment has a unique and different floor plan. DirecTV CHOICE Package (150 HD Channels) and premium internet is included. The building is a secure building and three of the apartments have their own private exterior entrance. Off-street reserved vehicle parking and bicycle racks are available. This is a high coveted rental property…call today to reserve your spot in this Iowa City landmark!